In alignment with the UO mission statement and values, our mission is to foster the unique gifts and talents of Dreamer students and promote their sense of belonging and safety, as they pursue their higher education goals. We use the term “Dreamers” to refer to Undocumented, DACA-mented, Tuition Equity, and students of mixed status families. Maintaining the integrity needs for the confidentiality and identity of Dreamers. There are approximately 11 million undocumented residents in the United States. Among them are students in our colleges and universities. Our commitment at the UO is to support those among us who desire an education to better their lives, that of their families and communities. We do not focus on the exact number of Dreamer students on our campus. We believe all our students should expect access to resources and support on campus, regardless of national origin or citizenship status. DACA – (Deferred Action for Childhood Arrivals) The State of Oregon has thousands of young people with DACA status. Our DACA students are both in-state and out-of-state and we expect our DACA numbers to grow as students graduate from high school or transfer into UO. Tuition Equity – House Bill 2787 is an Oregon State law that allows students, who meet certain criteria, to pay in-state tuition and fees. Many Dreamers have to stop-out to save money to pay tuition. Like DACA students, we expect our Tuition Equity numbers to rise. Undocumented students – Many of our students neither have DACA or Tuition Equity. They are paying out of pocket and are not applying for tuition equity or DACA, either because they do not qualify or because they are afraid for themselves or their family. Mixed–Status students – Mixed-status students number in the thousands. These UO students are typically citizens or Legal Permanent Residents. They have challenges that are similar to other Dreamer students, for example their parents may not be able to apply for parent loans through FAFSA. 7% of Oregon K-12 students belong to mixed-status families where at least one family member (parent or sibling) is undocumented. Dreamers are a racially diverse group of students and their numbers will continue to grow as they enroll in college and pursue an education to better their lives and that of their families. What does the term “DREAMers” mean? Who is a “DREAMer”? We use the term “Dreamers” to refer to Undocumented, DACA-mented, Tuition Equity, and students of mixed status families. Justine Carpenter who is the Director of Multicultural and Identity-Based Support Services, is the University of Oregon’s point of contact for DACA, undocumented and students of mixed-status families seeking resources for a quality experience at the University of Oregon. Office of the Dean of Students, 1715 Franklin Blvd. 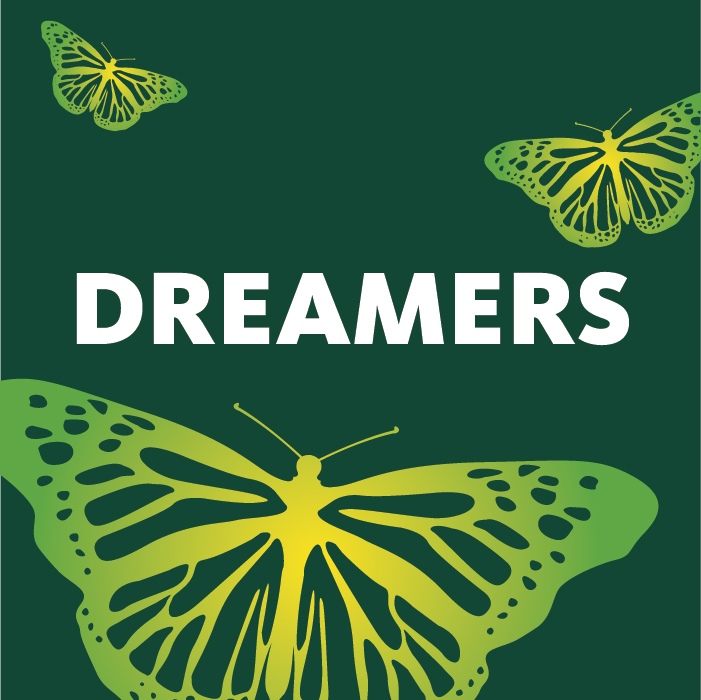 The Steering Committee works collaboratively with the UO community and Dreamer Allies to ensure that our campus is: inclusive, friendly and supportive to students, faculty, and staff irrespective of their immigration status, country of origin or ethnicity. There are three sub-committees committed to supporting UO DREAMers and their families.